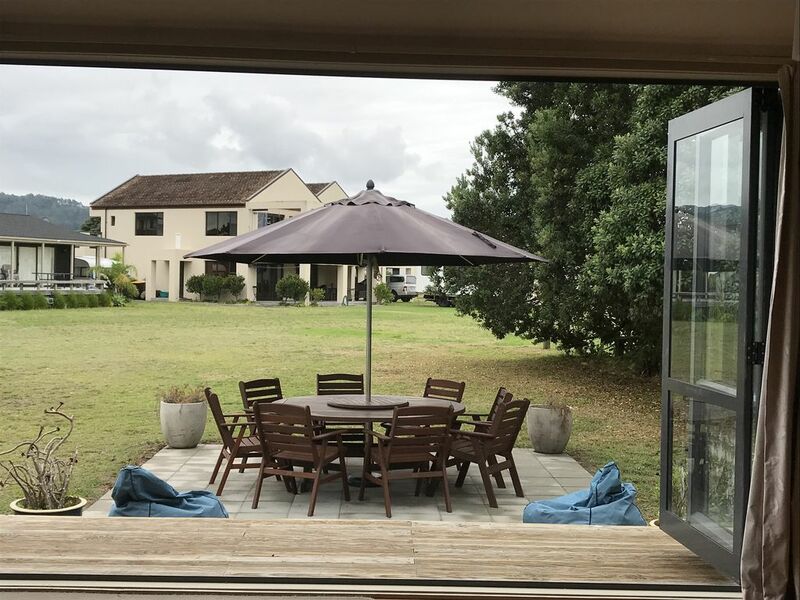 Located centrally in the heart of Pauanui on the edge of the airfield. Plenty of space to unwind and a flat section to utilize to the fullest for all those outdoor activities with the kids. Convenient walk across the road to the Pauanui shopping centre for all those last minute supplies or a bite to eat or coffee to go. If you’re a family wanting to get away for a break then this is the place for you. There is a skatebowl and playground a short distance away and loads of open space to kick a ball around in. Great for plane spotters to watch the aircraft come and go from the comfort of your deckchair. Pets by negotiation. Minimum stay: 2 nights, 1 week high season, 3 nights long weekends. Shoulder season rates applies to long weekends april, july andamp; september school holidays. Bach had everything we need at a reasonable price. Bach had everything we need at a reasonable price. Too bad about the weather. Fabulous location. Well equipped house with great layout. Loved opening up to the flat lawn, outdoor table and chairs. Thankyou for great stay. We love staying here, as It suits our family perfectly and we can't wait till our next holiday. We thoroughly enjoyed staying there, It's clean and tidy, and it's got everything we need. We thoroughly enjoyed staying there, It's clean and tidy, and it's got everything we need. There's a big grassy area at the back where children can play safely and the shops and restaurants are just across the road. Ideal Bach for families with good central location. House is across road from shops, bars and restaurant.